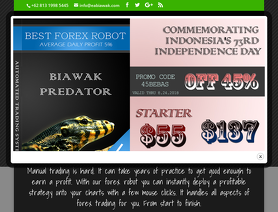 The EA Biawak Predator is a forex expert advisor by EABiawak.com. The EA Biawak Predator automated forex trading software for the MetaTrader platform works best on GBPUSD with M1 Timeframe. The EA Biawak Predator Forex Robot places trades for you.